A brand-new era begins here! Comics legends Scott Snyder and Jim Cheung launch the Justice League into a cosmos-shaking mystery that will draw out their most terrible foes… in ways our heroes couldn’t possibly imagine! 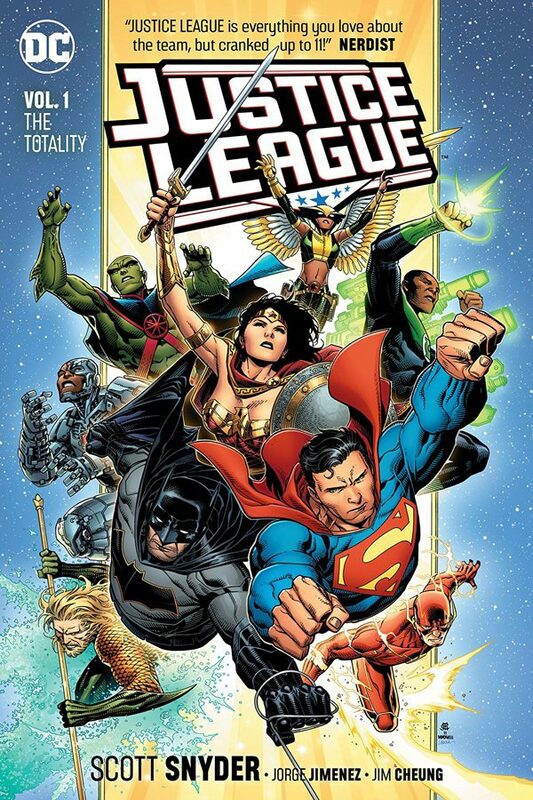 Spinning out of the cataclysmic events of Dark Nights: Metal and the universe-defining No Justice, the core members of the Justice League – Superman, Batman, Wonder Woman, Aquaman, The Flash and more – are finally reunited for an adventure for the ages! One of the most critically acclaimed authors of his generation finally scribes DC’s flagship title in Justice League Vol.1! Collects Justice League (2018) #1-7.